Concrete floors are the practical and durable option for many warehouses and factories across Victoria. Delineation of separate areas and clear safety markings are a necessity for many workplaces, however, ordinary paint usually does not stand up to heavy foot or vehicle traffic for long. Epoxy coating is the safer, more durable option in these circumstances. Used as a whole floor coating, epoxy can seal concrete floors, protecting them from moisture and daily wear and tear. An epoxy floor coating is also a more forgiving surface underfoot than concrete alone, and the smooth surface prevents excessive dirt build up and dusting, making cleaning a much simpler process. 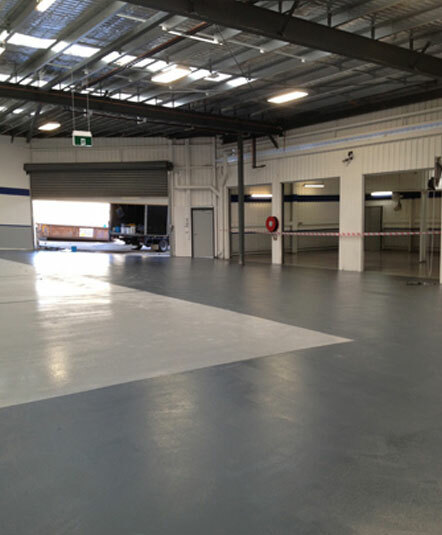 We have the epoxy flooring Dandenong locals have been looking for, with a variety of options to suit their needs. With added texture, your epoxy coating can become a safer, non-slip surface, while pigment can be used to mark off areas with bold safety colours. With the added durability it provides to concrete slabs, epoxy coating is a popular option for all concrete floors in workshops, warehouses, factories and even garage floors. Epoxy can be used in residential garages, commercial mechanics, and car showrooms as a practical and cost-effective flooring solution. Resistant to oil and most liquid spills, hardwearing and without the problems associated with the dustiness of unsealed concrete, epoxy is one of the best options in concrete coatings. If your concrete floors are cracked, stained, or otherwise past their prime, then consider our epoxy floor repair. Dandenong South locals and business owners can have concrete floors that are better than new, at a fraction of the cost of removing and replacing the original concrete. The experienced team at Baker Technical Epoxy Flooring Services can level out uneven floors, caulking expansion joints and repairing cracks and other damage. To finish it off we will seal your floors with an epoxy coating that can preserve your concrete from further damage. With a range of tints and finishes you can opt for a coating that is purely practical, choose a decorative vinyl chip floor coating in a range of colour blends. Looking for a company to carry out epoxy floor repairs ‘near me’? 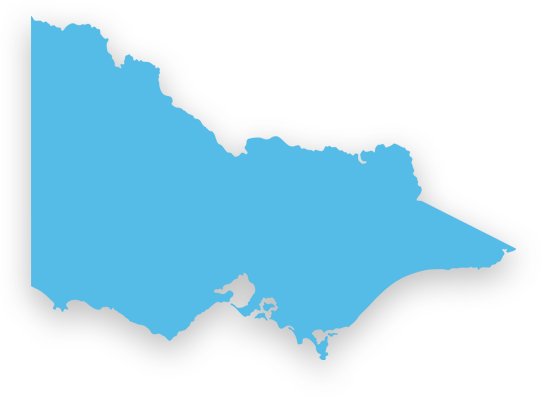 Dandenong South locals can call Bakertec on 03 9543 6888 for a free consultation and quote.